Aomori Prefecture is located on the northernmost tip of Honshu. It is also known as one of the “apple prefectures” of Japan due to its many apple orchards. The climate here is perfect for raising apples. This is also the reason why most of the souvenirs in Aomori have relations to apple. Aomori has various attractions and events that attract tourists from all over the country. One of those events is the Nebuta Festival. It is a festival that is said to be one of Japan’s biggest fire festival. Needless to say, a trip won’t be complete without buying a few souvenirs from Aomori. Take a look at these 10 souvenirs in Aomori that you can buy as gifts to your family and friends back home. Kininaru Ringo is one of Aomori’s famous souvenirs. Ringo in Japanese means apple and Aomori has a lot of them. The Japanese are quite innovative when it comes to making food, especially desserts. This unique apple pie is made by drilling on the apple and filling it up with syrup. When the apple is ready, it is then wrapped up in a dough (pie crust) and baked as a pie. This ingenious creation is then wrapped up in a cute box. It would be a shame not to buy a few of these tasty treats whenever you find yourself in Aomori. Patissier no Ringo-stick is another specialty from Aomori. Yes! You got it right. It’s another dessert made from apples. The so-called apple stick of the patissier, is basically an apple pie made from Aomori’s apples. The balance of sweetness is there, and you won’t be able to stop yourself from nibbling on them! Kujiramochi is a glutinous Japanese dessert that is quite popular in Aomori. Kujira in Japanese means whale and mochi means rice cake. Rest assured, you’re not eating whale meat or anything of the sort. Kujira mochi is made from glutinous rice, red beans, syrup, sugar, salt, and walnuts. It is a traditional Japanese dessert that is well loved by the locals and tourists alike. Aomori Cidre is a fermented alcoholic beverage that is quite popular in Aomori. Since this prefecture specializes in growing apples, it is only a matter of time before apple cidre is introduced. And thus, Aomori Cidre was born. The taste is like apple juice, accompanied by a refreshing aftertaste. If you haven’t tasted “apple wine” before, it would be best to buy a bottle or two and share it with friends. Ichigoni is a special seafood soup that is made from sea urchins, and abalone. This local dish originated in Hachinohe town in Aomori. Although it is named “Ichigo” which means strawberry in Japanese, the soup doesn’t have any strawberries in it. The name was coined from the urchins in the soup, which resembles wild strawberries. It is a dish that is often eaten during special events and occasions. Bunaco is a special craft product that highlights the mastery of wood craftsmanship. Who would have thought that the idea of using the beech trees in Aomori, to create a special product would create a brand name that will be known far and wide? Bunaco founded in 1956. Today, it is one of the special craft products that people go out of their way to buy in Aomori. The elegant designs and craftsmanship are also recognized internationally. The company is also offering workshops for those who are interested in learning the art of wood crafting. Koginsashi is a needlework technique that has survived from the Edo era. This embroidery craftsmanship was used by poor farmers to make hemp more durable by reinforcing loose weave. Over the years, various designs have been created and it became an exceptional product. In Aomori, you can buy Koginsashi bags, wallets, towels, etc. Tsugaru Lacquer is a special product that was believed to have started during the Edo Period. Tsugaru is the town where this craftsmanship was born and thus the product was called “Tsugaru Lacquer”. During that period, various lacquer artisans competed to create the best works to impress the ruling clans of that time. Today, the technique still remains and is one of Aomori’s special products. There are various designs like multicolored speckling, small circles, lines, apple designs, unique patterns and the combination of all of them combined. Tsugaru Vidro (Tsugaru Glass) is a special glass product in Aomori. These wonderful creations by the glass artisans are widely acclaimed, because of their unique designs and colors. Who can resist the specially made tablewares for their own home, and be praised by their guests for having great taste? In Aomori, these artisans create seasonal products that reflect the seasons in Japan. It would be a great idea to buy a few sets as a souvenir before going back home. Japanese sake is one of Japan’s special products. People drink this alcoholic beverage made from fermented rice wine every day and on special occasions or events alike, and will forever be part of the Japanese culture. 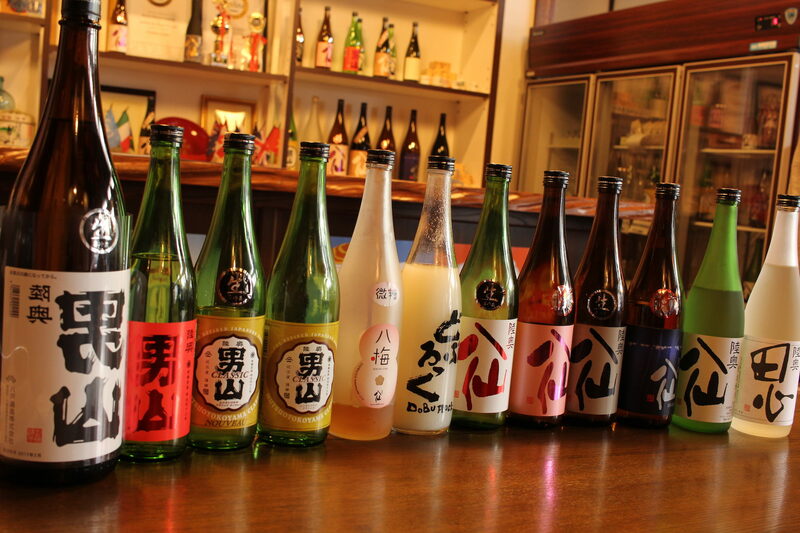 Even though Aomori is well known as a top apple producer in Japan, they also have many sake breweries. Some of these breweries also offer tours and sample tasting. If you don’t have anything else planned in your vacation, it might be a good idea to drop by and taste some of their sake.